Pioneering Maxillofacial surgery, thought to be the first of its kind to be performed in the UK and US, was undertaken at the Luton and Dunstable University Hospital (L&D) last month, by leading consultant Mr Alan Parbhoo. The complex procedure carried out by Mr Parbhoo and his team was to correct problems experienced by a young patient with a severe ‘dentofacial disproportion’ – a form of developmental growth disturbance which caused a significant facial deformity. The deformity was clearly noticeable and the patient had difficulty eating as well as experiencing insecurities about his appearance, leading to the decision to seek expert assistance. Typically, patients with conditions similar to these are treated with orthodontics (braces) and surgery. Due to the complexity of the surgery, Mr Parbhoo took the decision to use computer aided surgical planning to successfully carry out the five and a half hour procedure. 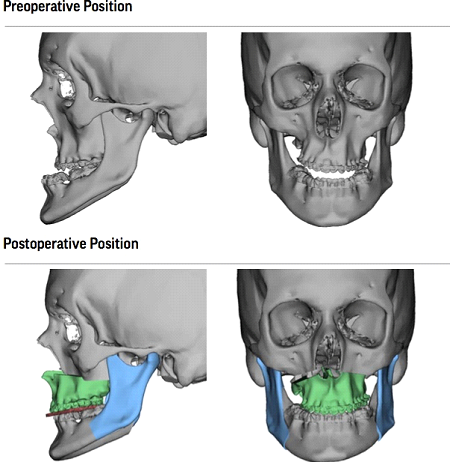 Working closely with US based companies 3D Systems Inc and Stryker, the process to move the patient’s top jaw forward by 15mm while realigning the top teeth and transplanting bone from the hip, then moving the bottom jaw back, was practiced and demonstrated to the patient in virtual reality prior to surgery. Mr Alan Parbhoo, Consultant Oral & Maxillofacial Surgeon, Luton and Dunstable University Hospital and Bedford Hospital said: “This pioneering procedure was a major first and an outstanding achievement for all of those involved. “The severity of this case led me to take the decision to involve US based companies 3D Systems and Stryker which specialise in virtual surgical planning. The ability to plan in advance and practice the procedure using virtual reality beforehand made the outcome highly predictable. The L&D has eight Consultant Oral & Maxillofacial Surgeons, one Consultant Oral Surgeon and two Consultant Orthodontists working within a network covering Bedfordshire, Hertfordshire and part of Buckinghamshire as well as Junior and Senior Doctors and Dentists in training.